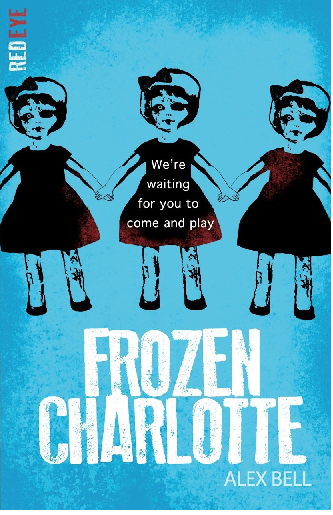 From the vintage-set prologue, Frozen Charlotte is distinctly eerie. With china dolls that have minds of their own and schoolgirls conducting tiny funerals, you know it isn’t going to become a jolly holiday romance. Alex Bell handles many of the scary tropes we know and love – if that’s the right word – with skill. The main part of the tale takes place in the present day with our point of view heroine Sophie investigating an ever-worsening sequence of events. For me, having such traditionally frightening elements in the contemporary world felt especially effective. There are some fairly gruesome scenes – not quite full-on horror, but getting close. It certainly isn’t suitable for the nervous – not least because of the psychological tension around the motives of suspect characters. It’s a ghost story crossed with a detective adventure – filmed through a very dark filter. That said, a competent reader would not find it intimidating, and the settings are created with just enough telling detail to draw you in. I particularly liked the quotations from an unearthly ballad – which actually exists. If it were a film, this would be the creepily tinkling music just before something really unpleasant. ‘Miss Peregrine’s Home for Peculiar Children’ by Ransom Riggs, or ‘Long Lankin’ .